Don’t let weather, water levels or risk of immersion keep you from fishing. Made with kayak anglers in mind, the men’s NRS Sidewinder Dry bibs let you wade without fear of soaking. These waders, specially designed for fishermen, are made from 125 denier polyester and are completely waterproof, utilizing a 4-layer Eclipse fabric with a Nanosphere durable water repellent finish that locks out water while letting excess moisture escape. The polyester, microfiber shell has superior abrasion-resistance and allows friction-free movement for paddling. 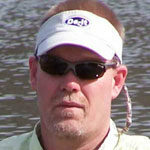 The bib is designed for maximum comfort under a PFD. The detachable wishbone suspender system uses nylon buckles, with two side adjustments for a snug fit. The patented TIZIP® MasterSeal relief zipper allows convenient pit stops without having to completely removed the bibs. Kayak anglers can combine the bibs with a double-skirted dry top or the NRS High Tide Splash Paddling Jacket. The jacket has an articulated hood and a quick-venting neck. 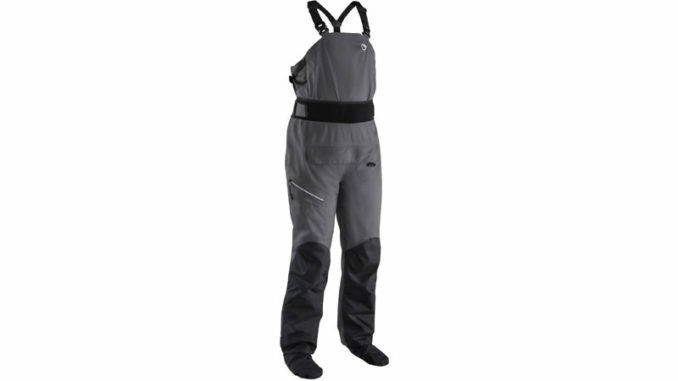 MSRP for the NRS Sidewinder Dry Bibs Waders is $449.95. The High Tide Splash Paddling Jacket lists for $149.95.